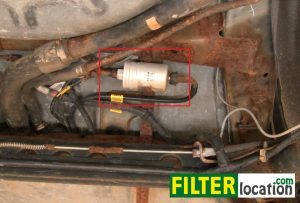 Do it yourself, change the fuel filter on Pontiac Sunfire. The replacement is similar for models made in the years 1995, 1996, 1997, 1998, 1999, 2000, 2001, 2002, 2003, 2004 and 2005. 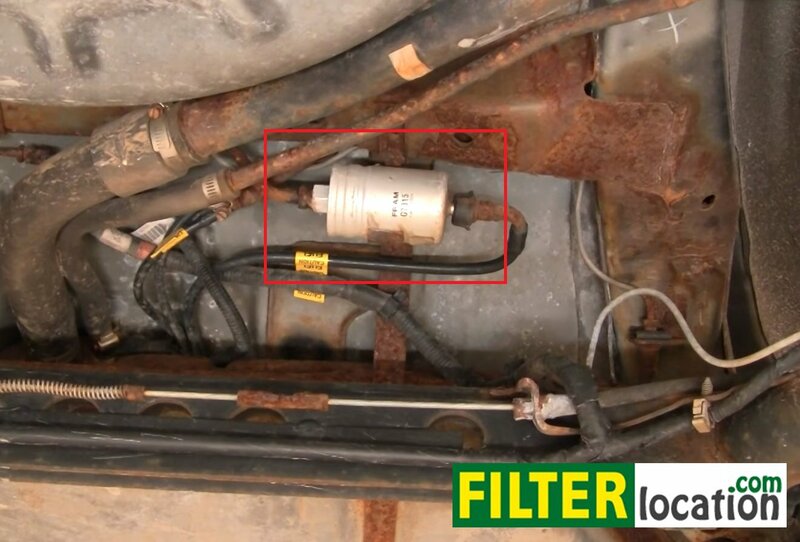 On Pontiac Sunfire, produced between 1995 and 2005, the fuel filter is located underneath the car, above the rear axle (see picture below). You can remove it from there using two adjustable wrenches, or a 16 mm wrench along with an adjustable one. The first thing you wanna do is to use a jack and lift your car on the rear, right side, to get better access to the filter. After you do it, you will have to undo the 16 mm nut, marked with the red arrow in the image below. Use the adjustable wrench on the nut like part of the filter (marked with the blue arrow) to hold it steady, and use the 16 mm wrench to work on the nut. Make sure you do not apply too much force on the fuel line and that you don’t twist it, otherwise you will have to replace it. 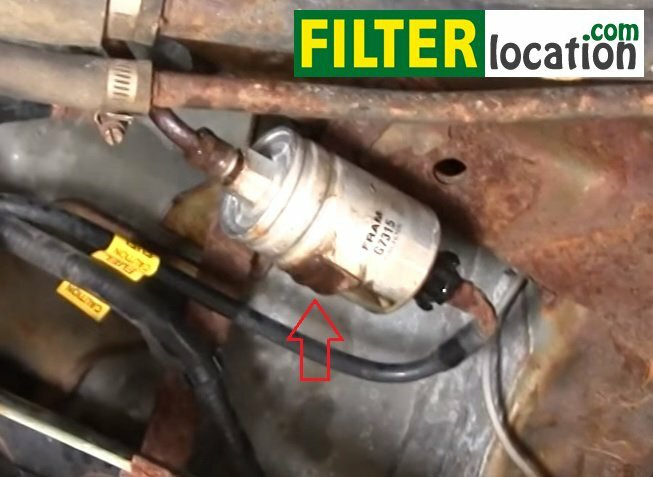 After you get rid of the nut (be careful, some gas will come down from the fuel line), using a flat headed screwdriver, you can pry out the metal clamp shown below, that secures the filter. Then you can just twist and pull out the filter and replace it with a new one. The replacement should fit in place, exactly like the old one. Put it into the clamp and secure it with the nut. 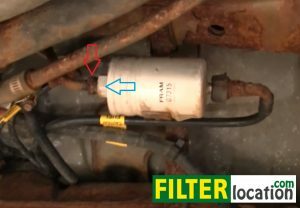 Why is necessary to replace the fuel filter? You may wanna consider changing the fuel filter because regular replacement will prevent harmful contaminants/sediments from reaching the fuel injectors or even passing into the engine, thus damaging it or shortening its lifetime.